Repair Kits and Waterproofing // We understand that accidents do happen. If you need to repair your canvas bell tent then look no further. 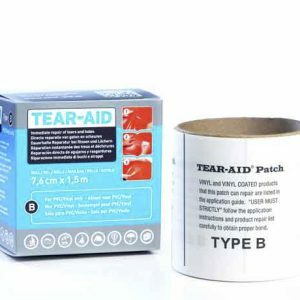 Our selection of products make repairing canvas easy. You’ll be back to new in no time! Stimex Waterproof Liquid is an extra concentrated textile coating. This liquid is suitable for all types of cloths and applications. Due to its special composition this liquid is permanently elastic, breathing and can be applied to moist fabric. Stimex Waterproof spray is an extra concentrated textile coating. This spray is suitable for all types of cloths and applications. Due to its special composition this spray is permanently elastic, breathing and can be applied to moist fabric. For treatment of larger areas use Stimex Waterproof Liquid 500 mL. Please note this product is pick-up only. 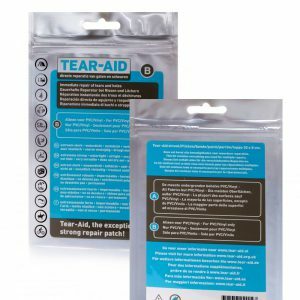 Tear-Aid, the indispensable repair patch for outdoor and indoor use. 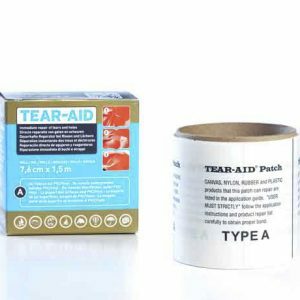 Tear-Aid repairs: tent covers, canvas, rubber (inflatable) boats, umbrellas, raincoats, jackets and bags. In addition to products such as aluminium, stainless steel, fiberglass and more. 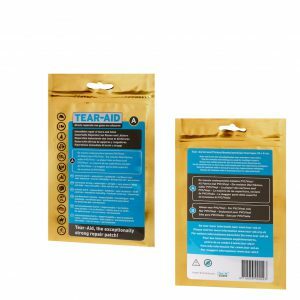 Tear-Aid repairs: tent covers, canvas, rubber (inflatable) boats, umbrellas, raincoats, jackets and bags. As well as products like aluminium, stainless steel, fiberglass and more. If you require a larger roll, please contact us.